Well, it’s exciting to me, anyway. Be Thou My Vision is really close to having 50 reviews!!! There are currently 41 reviews on Amazon, so, I’d really like to get it all the way to fifty (or more). What better way to do that than run a sale and a giveaway! 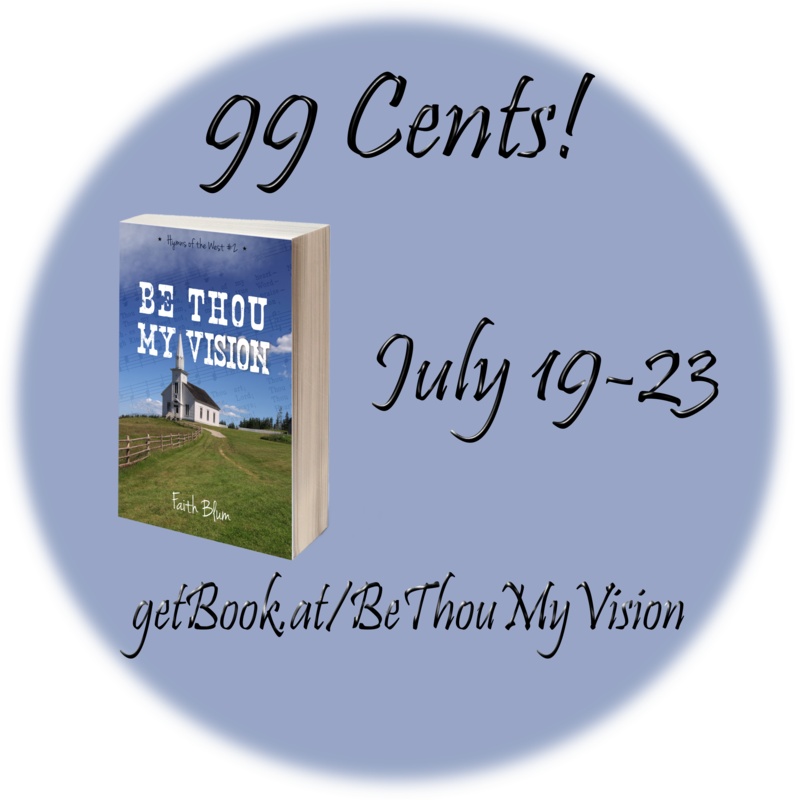 From July 19-23, Be Thou My Vision will be on sale for just $0.99 in the US and UK. To have full disclosure here, the 41 reviews are only on Amazon US. The Amazon UK page has a big 0 for reviews. So really, I don’t care if you post on the US or UK Amazon page because I’d love to have reviews on both. Now, I’m sure when I said the word “giveaway” I got somebody’s attention. What is the prize and how do you enter? The prize is a $15 gift card to Amazon. That way you can buy one of my books in paperback. 😉 Just kidding. You can buy whatever you want with the gift card. Entering the giveaway is really quite simple. All you have to do is read Be Thou My Vision, post a review, and come back here and insert the permalink to the review into the rafflecopter widget. I am going to be a little picky and only allow new reviewers to enter this giveaway. HOWEVER! If you’ll look, there are actually two giveaways. Because Amazing Grace also needs some review loving. 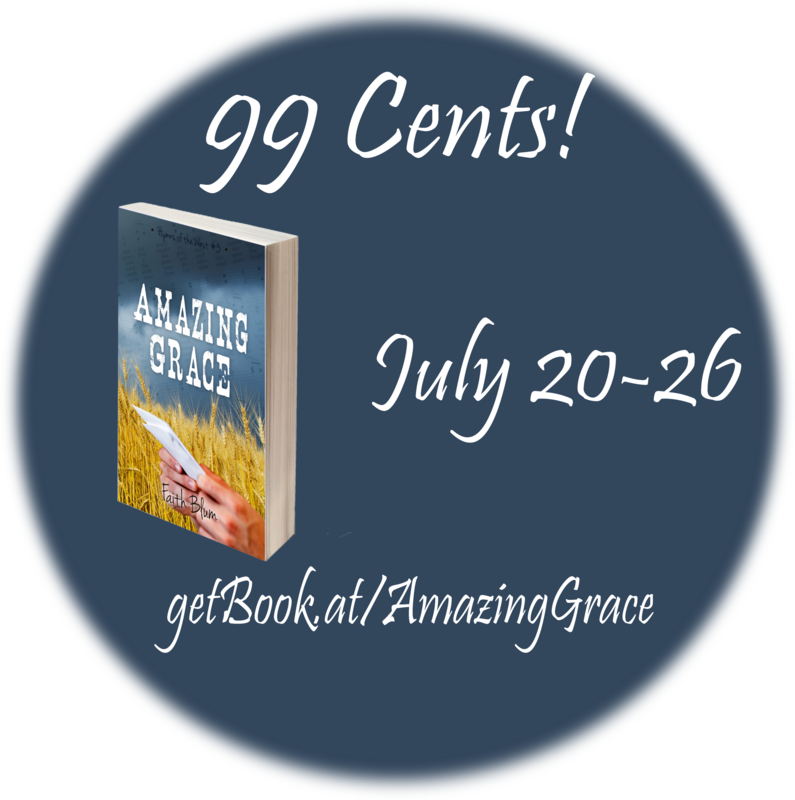 So, if you haven’t read Amazing Grace or you’ve read it and haven’t reviewed it, now is your chance. Best of all, Amazing Grace is also on sale only from July 20-26 (slightly different dates from BTMV). Entries can be made the same way. IMPORTANT! Both giveaways are open today through the end of August! If you still didn’t get a chance to enter a giveaway because you have reviewed both of my books on Amazon already, please shoot me an email with the links to your reviews and I’ll send you a super special gift because you are a super special person and deserve a super special gift. To enter, click on the picture for the book you are entering for.